He opened the envelope, slid out the note, and started reading. A smile slipped on his face as he stared intently at the words. A glance up to regain his composure and then more reading. 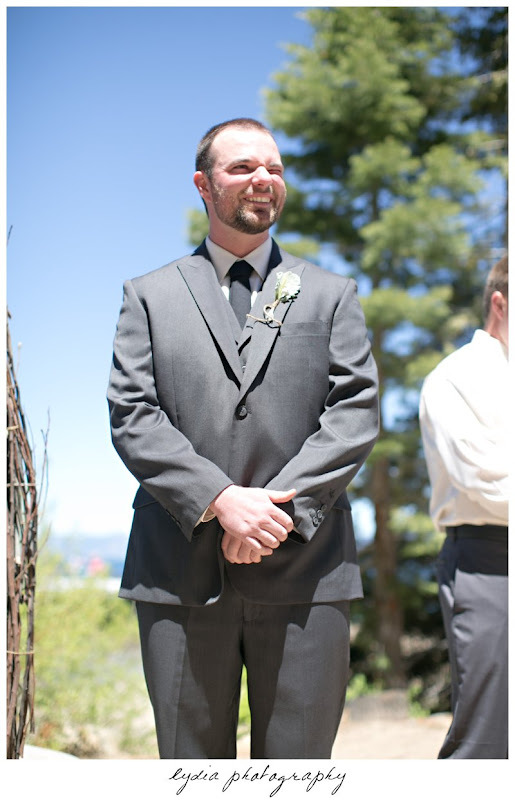 As he came to the end, Trevor looked up, ready and excited to see his soon-to-be wife, Talea! 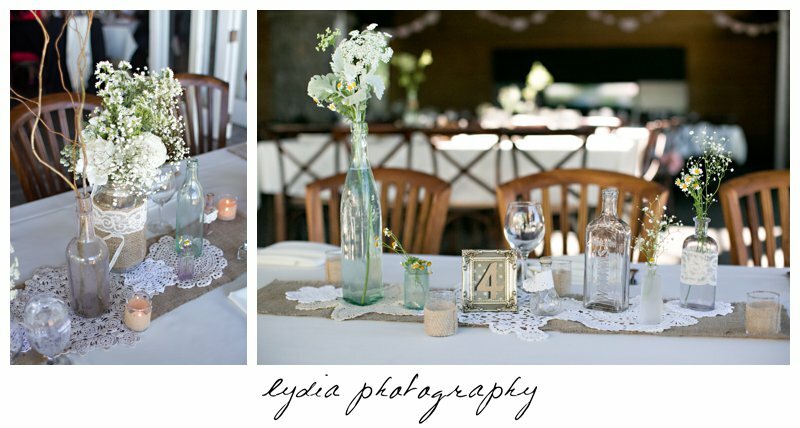 From the getting ready room on the dock at Chambers Landing to each handmade diy detail at the reception, everything was absolutely amazing! 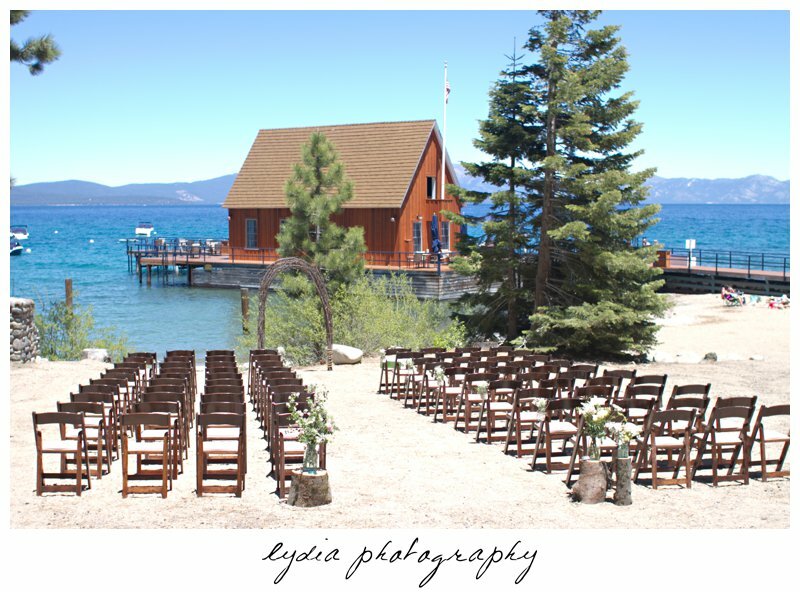 Lake Tahoe was the perfect backdrop for their rustic, yet still pretty, outdoor wedding. 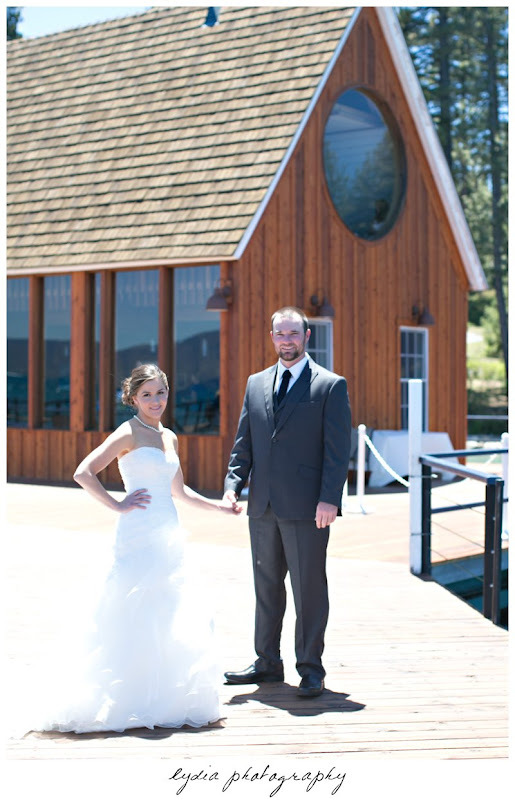 Sunshine and pine trees, what more could you want for a girl from Alaska and a Northern California boy? 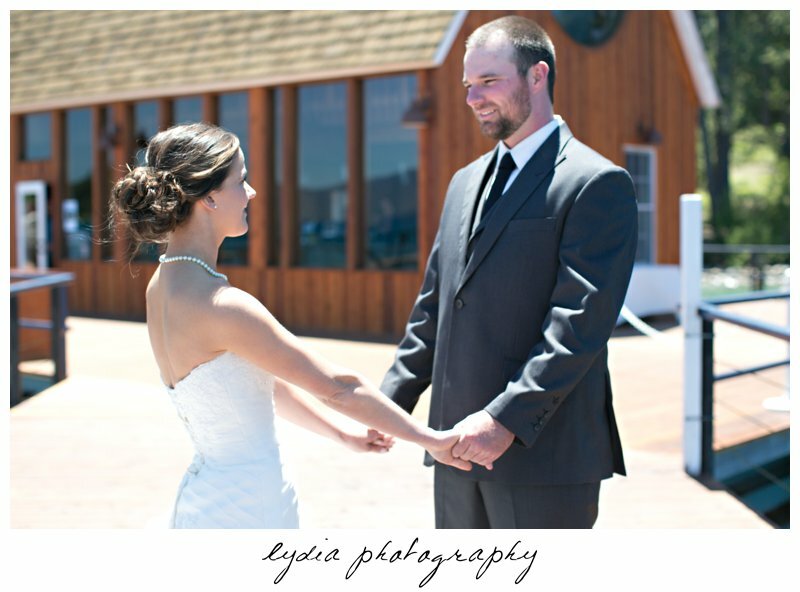 Talea and Trevor, thank you so much for allowing me to play this small part in your lives! 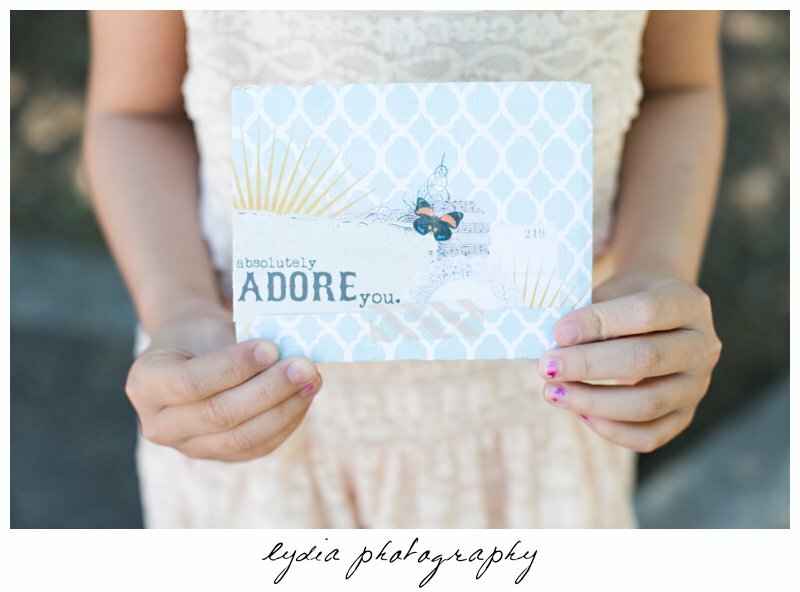 I was so honored to be included in your day! Have an amazing time together in San Francisco enjoying our California sunshine! 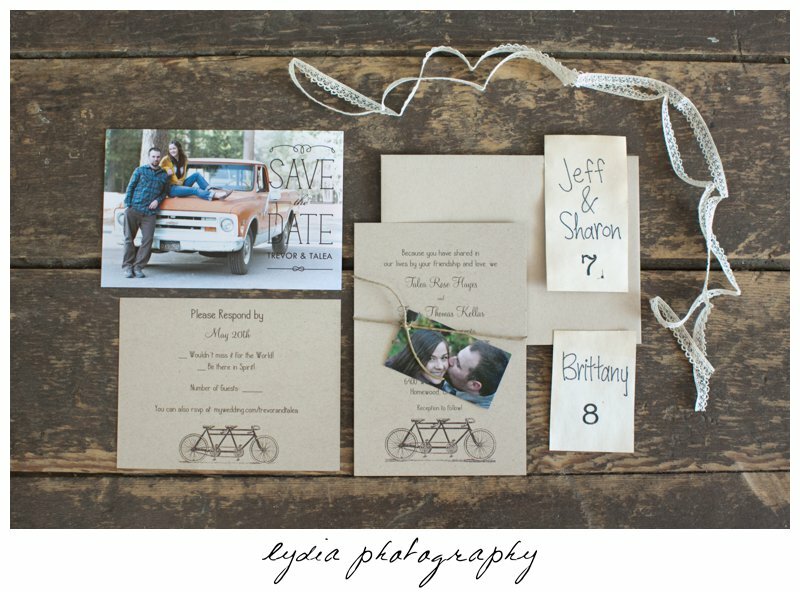 I absolutely love it when my brides and grooms use their engagement pictures in their invitation suite or to decorate their reception, and Talea & Trevor did not disappoint! Receiving this cute set in the mail made me even more excited for their day! 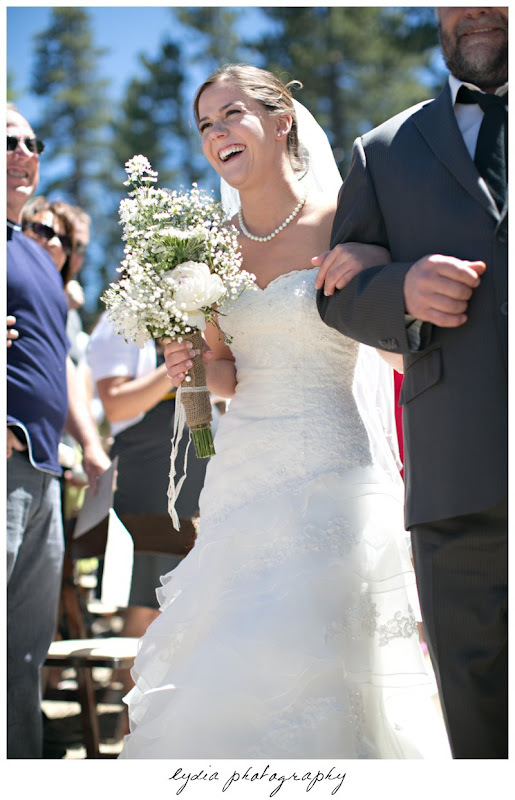 Isn't Talea the cutest, most beautiful bride?! 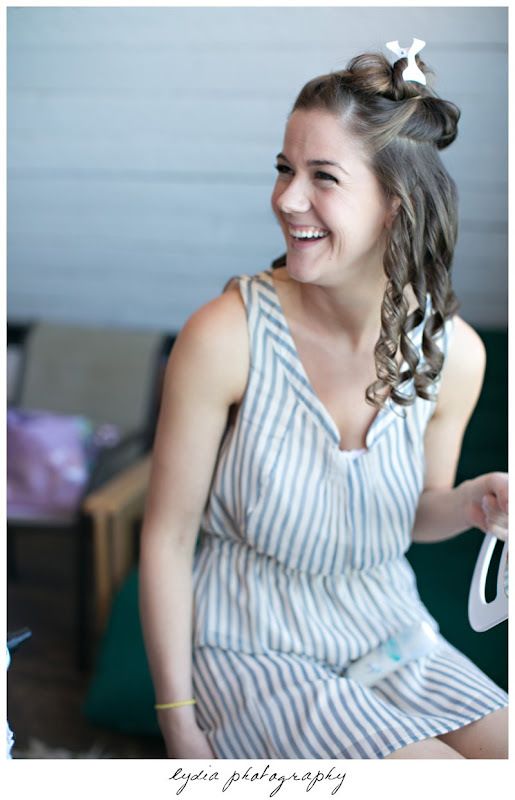 Vicki Galbraith did an amazing job with hair and makeup! 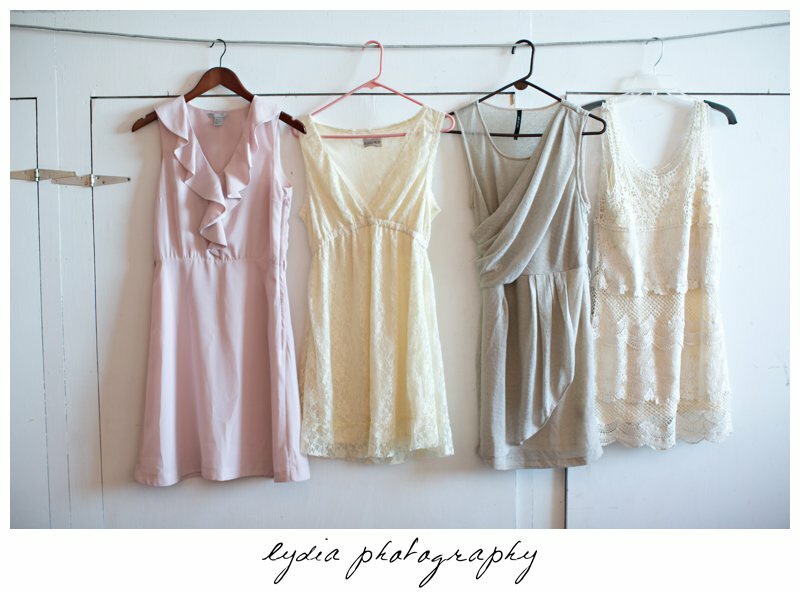 Allowing the bridesmaids to pick their own coordinating dress--another favorite detail of mine! 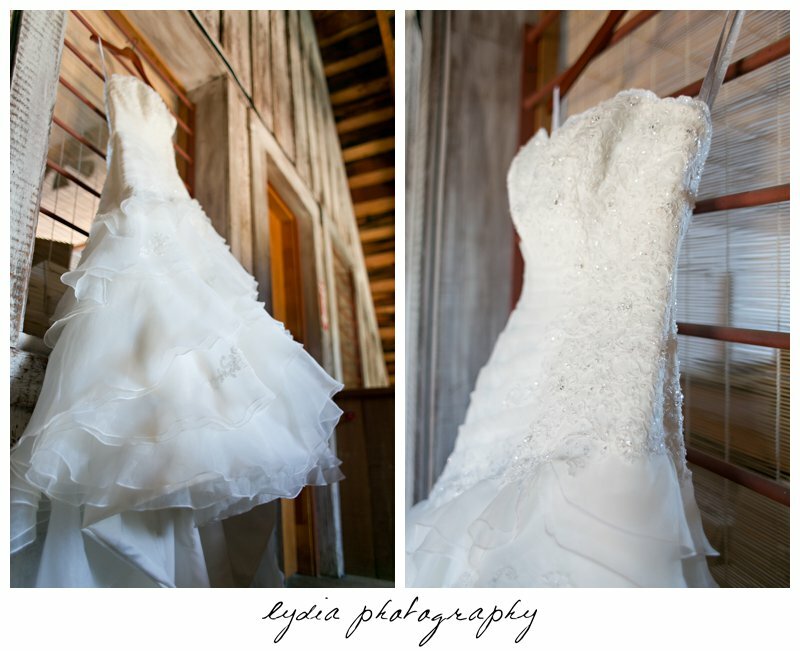 This Alfred Angelo gown in all its ruffled glory was a great contrast to the mix of rustic and natural. 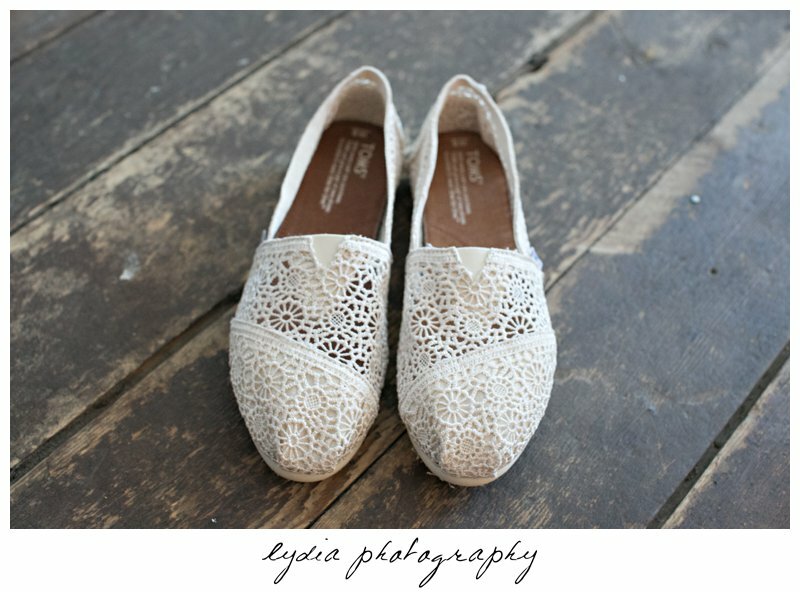 Lacey Toms! 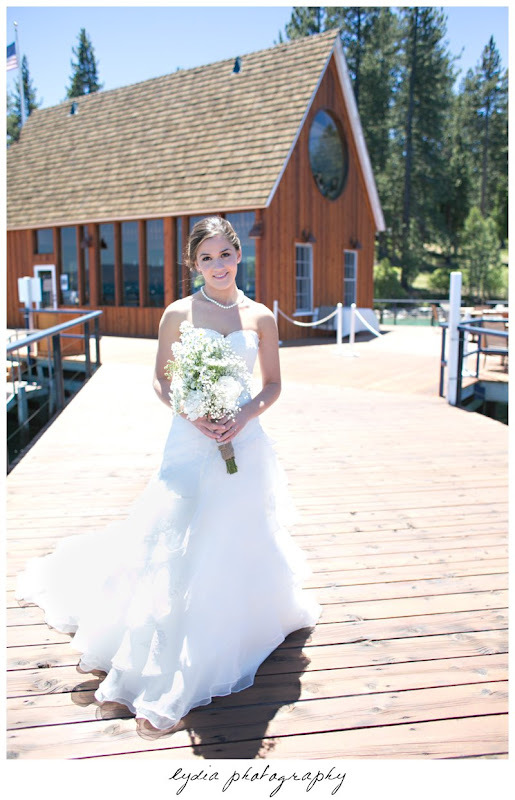 Can you say perfect bride again?! 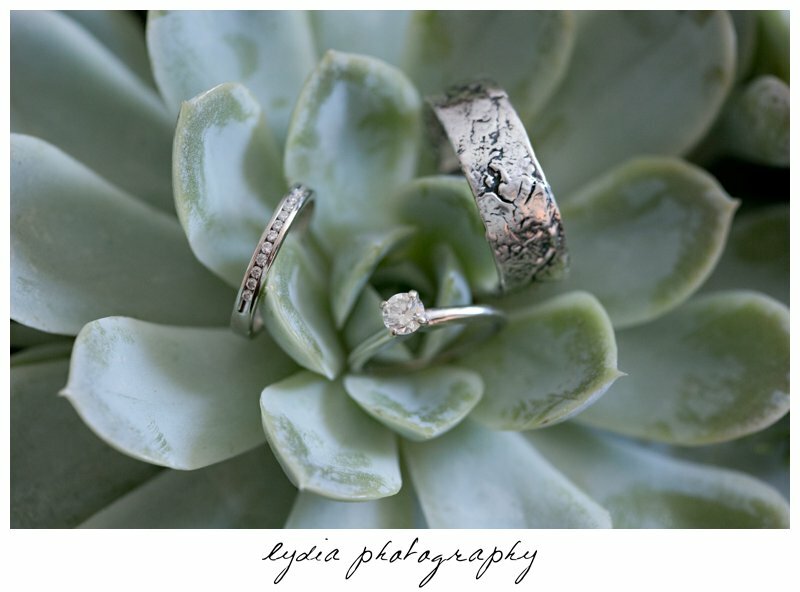 Such a fun and unique way to carry out the theme and hold the rings! Trevor wasn't too shabby either in his cool pinstripe suit! 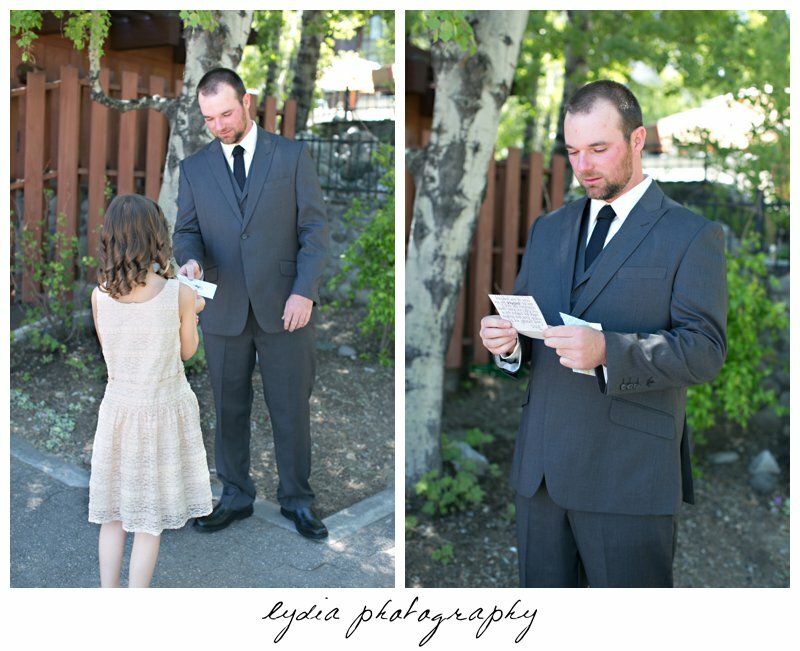 As she was getting ready, Talea told me she wanted to have a note she had written delivered to Trevor right before their First Look. 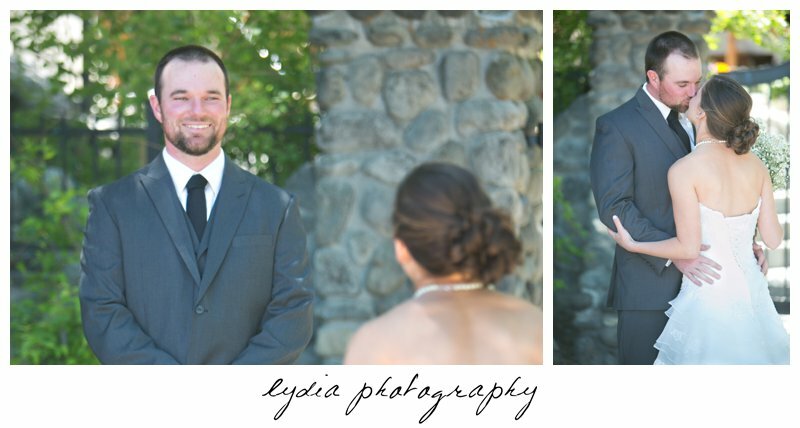 It was the perfect way to prepare him to see his bride for the first time! 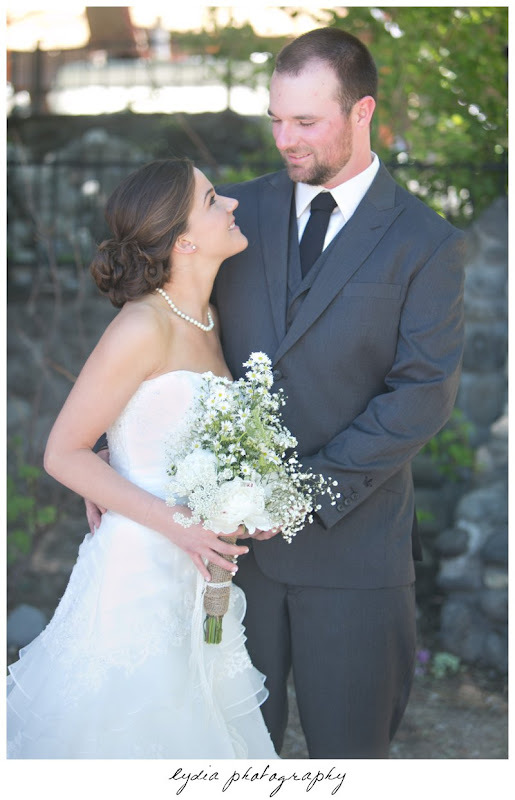 I absolutely love First Looks, so I was so excited that they choose to see each other before the ceremony! They could spend those first few moments alone, sharing their thoughts aloud, and preparing, together, to become husband and wife! 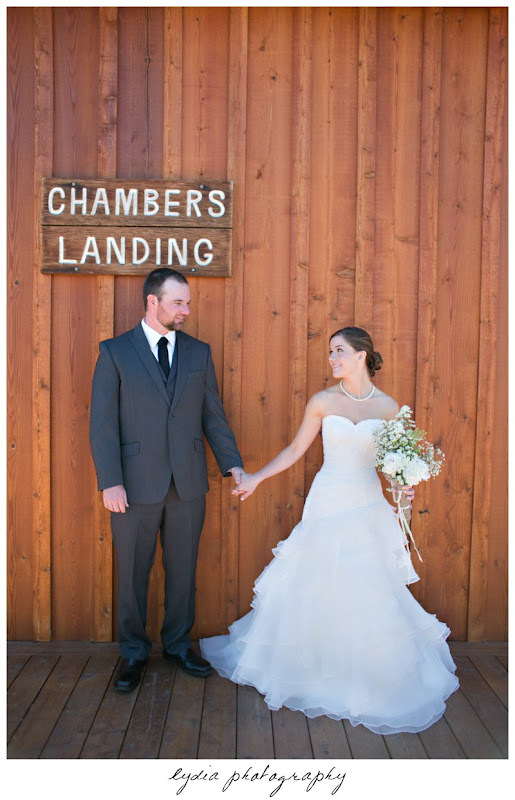 Not only did Chambers Landing have a sweet upstairs room for the girls to get ready, the dock was a fun place for pictures as well! 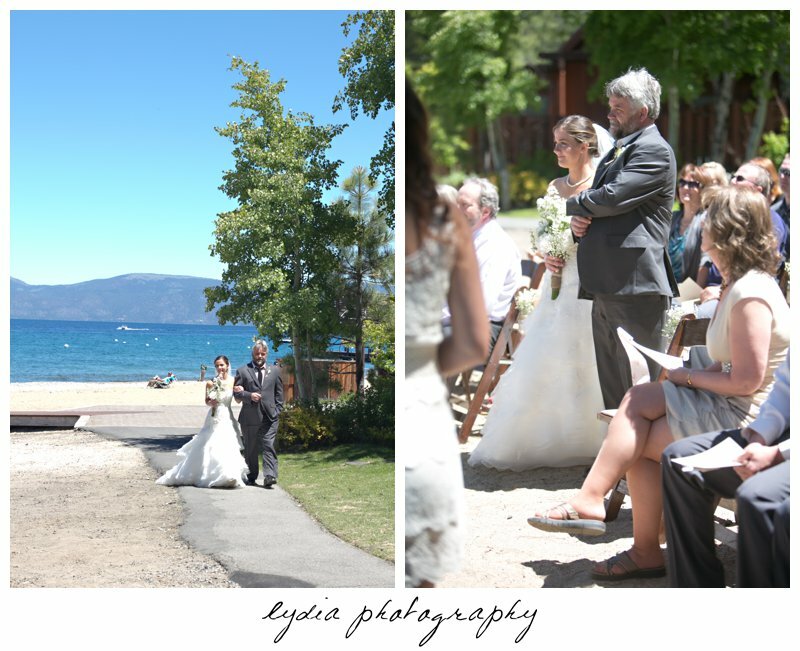 The ceremony was right on the Chambers Landing beach overlooking Lake Tahoe! 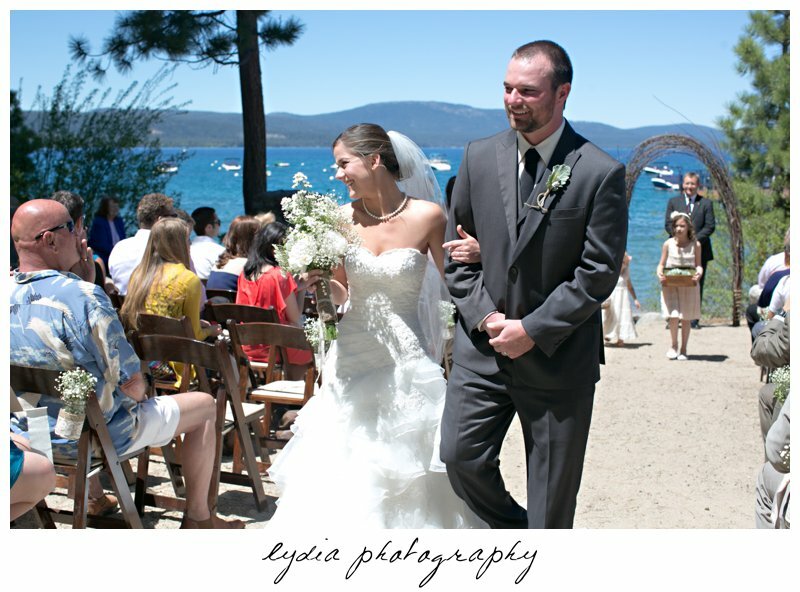 Even though the sun was bright, Trevor couldn't stop looking as his bride walked toward him down the aisle! Trevor's sister did an amazing job creating the cake! 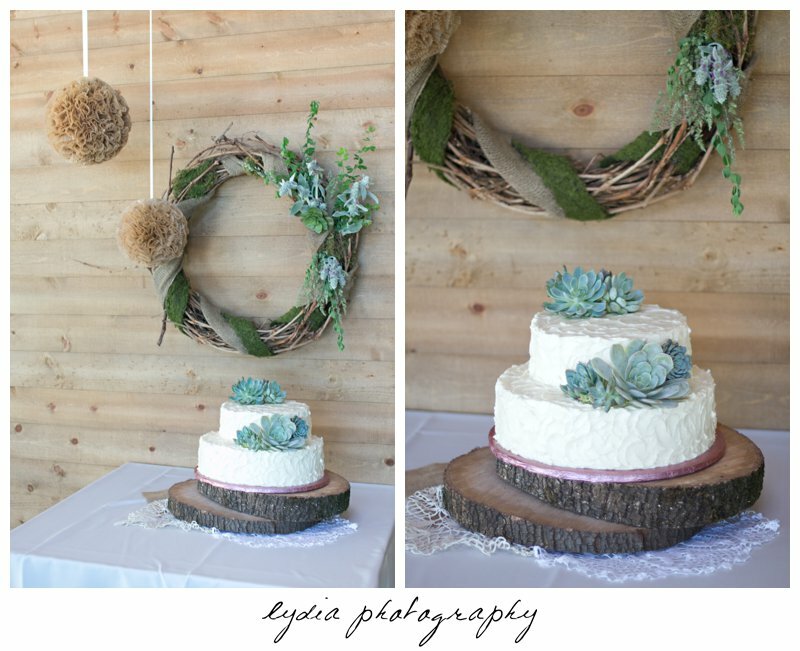 Talea's diy details were amazing! 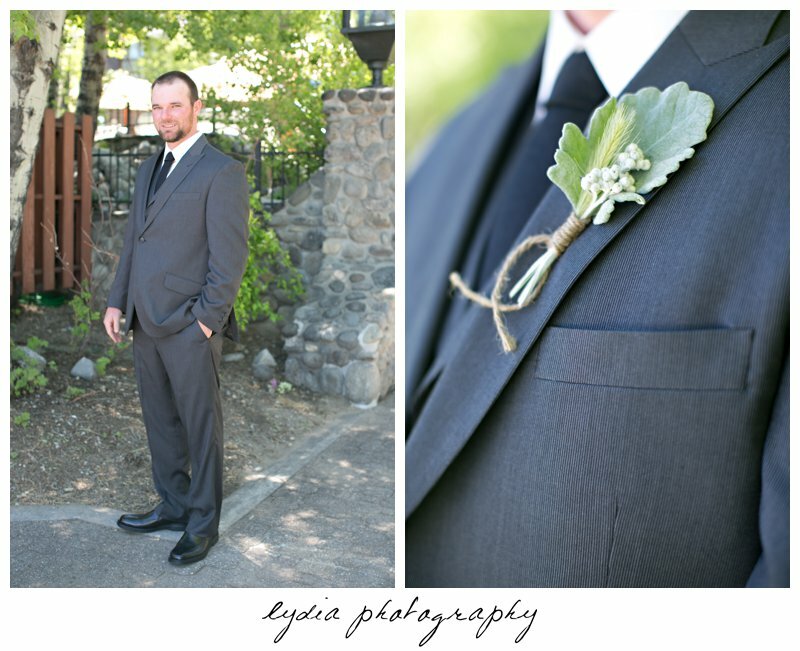 I love how she used Pinterest to gather together ideas that were perfect for she and Trevor. After the most amazing food ever made by D'lish Catering that included seafood fresh from Alaska, the night ended with the sweet sounds of the Earles of Newtown. 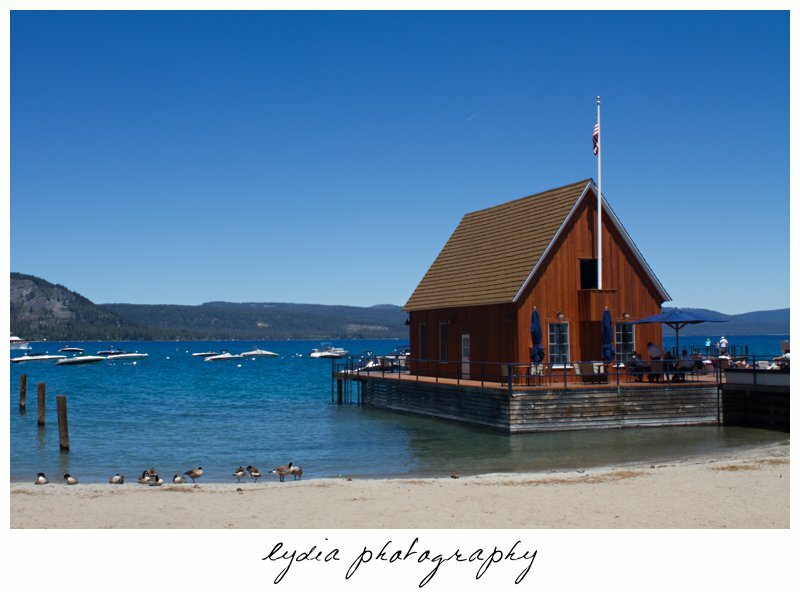 To view more of Talea and Trevor's wedding at Chambers Landing in Lake Tahoe, check out their personalized website! 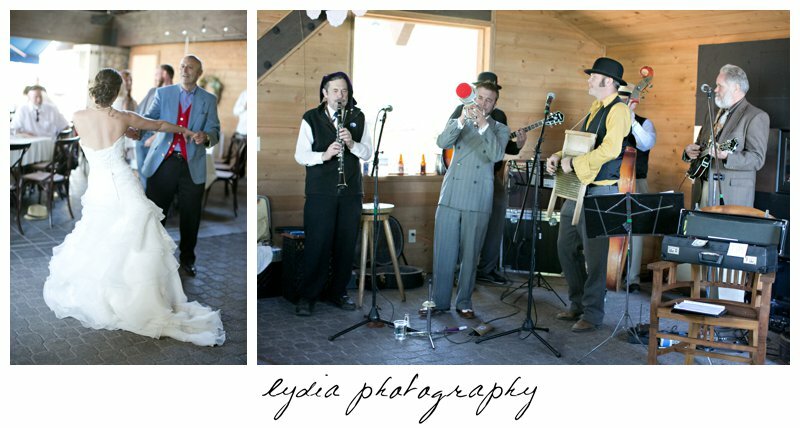 Well done, Lydia...you captured a lot of beautiful moments! 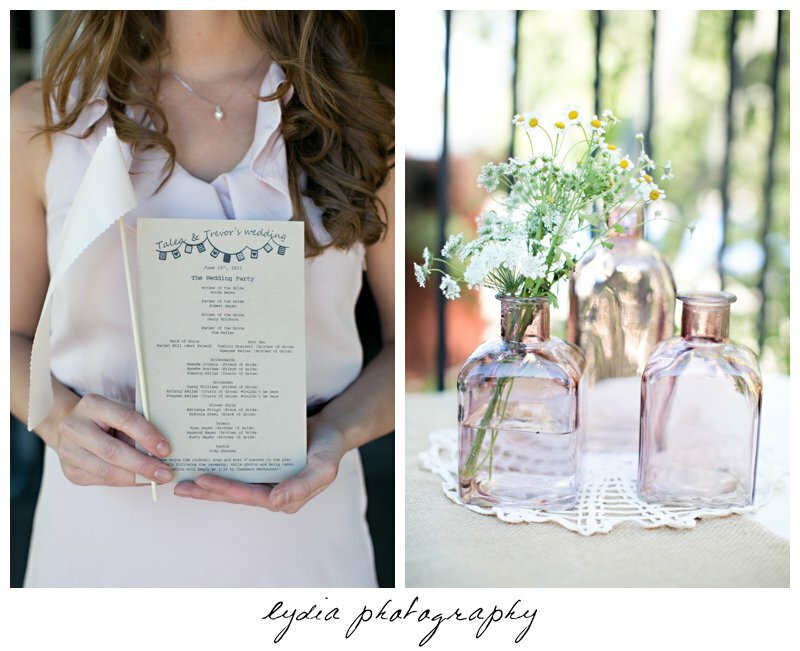 Beautiful wedding and great shots. I really liked the idea of sending ahead a note to your husband-to-be. Even if you didn't have the First Look ahead of time, I think that would be a fun, sentimental, personal way to connect right before the First Look in front of everybody. 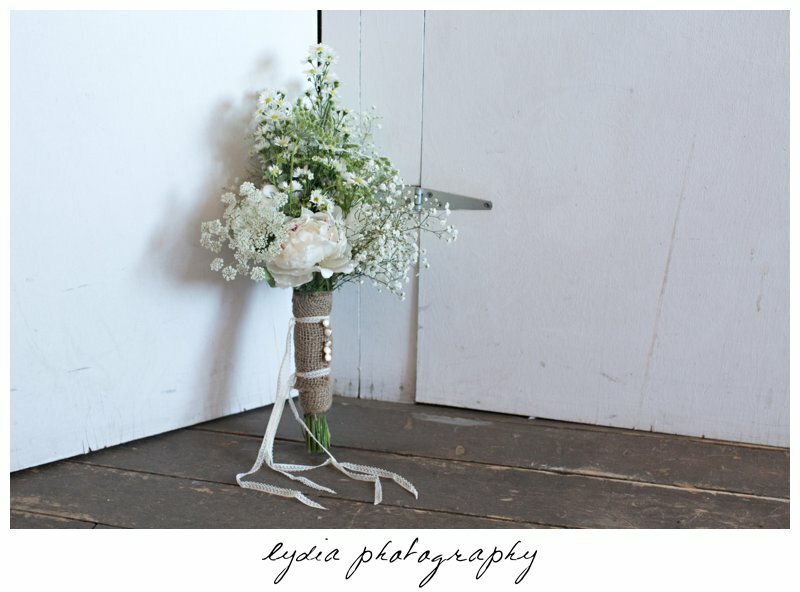 What a lovely wedding (and of course beautiful photos to capture it =D)! 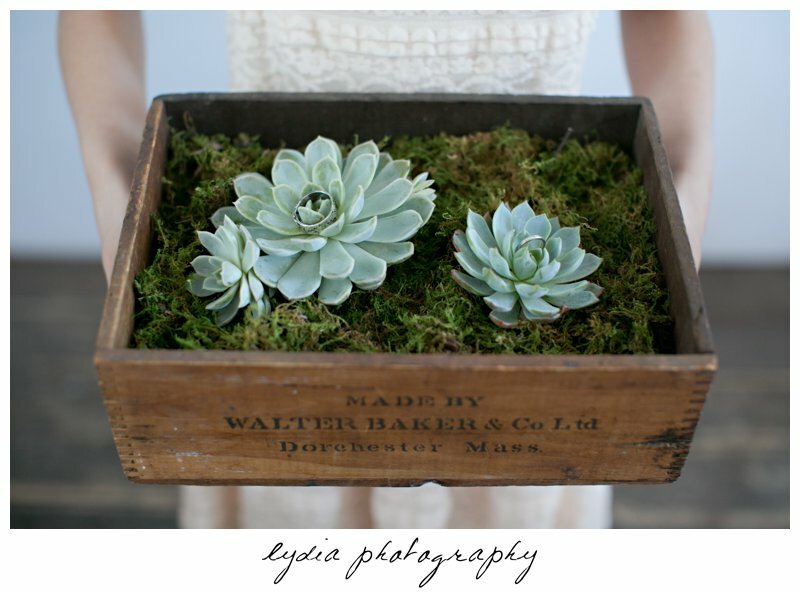 I love all the rustic details!